Don Juan is one of the most dazzling figures in European cultural history. His origins are unclear, but since the early baroque period the legend surrounding his seductive powers and the inevitable punishment this brings him forms the centre of dramas as well as comedies. He provided improvisation-based folk theatres and puppet theatres with material for frivolity; the most famous adaptation for the courtly opera stage is that by Mozart/Da Ponte – it highlights the tragic elements contained within the comic, and envisions his boundless desire as the brilliant characteristic of an intellectual. The choreographer Giorgio Madia views Don Juan as a figure of the theatre. Part of his myth is the delicate influence of the supposed coincidence which heightens pleasure as well as the never-ending movement which provides the only means for understanding the transience of the present moment. It is the seducer’s masterful use of illusion and fantasy which his female “victims” as well as the audience succumb to. Don Juan has a great gift when it comes to the game and magic of eroticism. He represents that which seems illusory but which is the measure of all things when the whole world becomes a stage. Giorgio Madia stages this legend as a piece of irresistibly seductive, intimate baroque theatre in modern form. 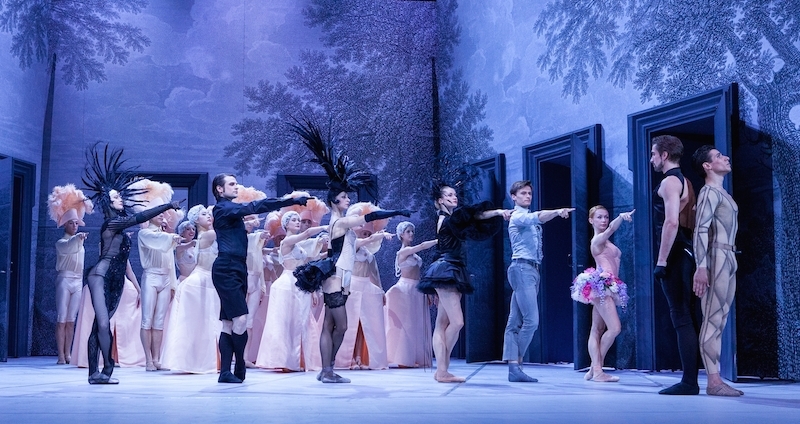 He has drawn inspiration from Christoph Willibald Gluck’s ballet pantomime DON JUAN, the first piece in which the medium of dance was given the sole responsibility for conveying emotions when it premièred in 1761. Complemented by additional compositions by Gluck’s contemporaries, the Zeitgeist of this baroque piece about surrendering to illusion, about desire and transience, could hardly have been given a more fitting expression.